While most companies understand the importance of web design for their online strategy, many will ignore the impact that SEO has on their success and will not use an SEO company in Toronto or their locale. While a great web design is important for success, poor use of SEO and content will ensure that nobody finds your web site or uses it. SEO is crucial to bringing people in and keeping them on your web site. Unfortunately, web site design can often detract from SEO. Even a great-looking design can end up being a failure if it doesn’t take into account SEO and content. Luckily, web site redesigns are the perfect opportunity to integrate your SEO strategy with your design. Here are five common mistakes that you should avoid when working on a website redesign. If you want to improve your SEO, then you need to have a good understanding of what to improve on. Before you begin a redesign, you need to perform an audit to determine how effective your SEO is and where it is failing. You should consider factors such as your number of monthly unique visitors, the total number of pages that receive traffic, and how long each visitor stays on each page on average. Once you have determined these metrics, you can figure out where your SEO is failing and focus on that in your web site redesign. When you work on content for your new site, it’s important to re-evaluate the keywords you use and select the ones that are best for SEO. Content with too many keywords can be penalized by Google’s algorithms, while content which doesn’t use enough keywords will fail to get high search engine rankings. Ensure that whatever design you use, you have enough content using the right keywords. The URLs you use for your web site are also important for search engine rankings. Search engines prioritize URLs that are easily understandable. If your URL describes your content or contains important keywords, it is more likely to rank higher in search engines. Choose your URLs carefully and use techniques which can boost their SEO effectiveness. For instance, using dashes instead of underscores in your URL will help your web site appear in more search engine results. Having a mobile-friendly, responsive design is actually very important for SEO purposes. Search engines like Google prioritize these sites and are more easily able to “crawl” responsive sites for content. When your web site does not use responsive design, it can end up suffering in search engine rankings. While many companies will refine their strategy for SEO based on region (e.g. SEO for Toronto-based business), it’s equally or even more important to consider the platforms your web site will primarily be used on. Don’t ignore mobile. Once you have implemented your new web design, you need to be tracking SEO metrics to monitor how successful your design and SEO strategy are. There are a variety of web analytics tools that will allow you to track the success of your web site and determine where ongoing improvements need to be made. Google Analytics is the important tool that you should be using with any web site to help refine your design and SEO strategy. 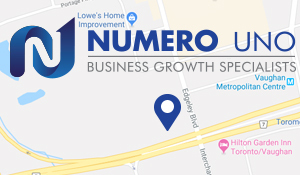 Numero Uno Web Solutions is an SEO company in Toronto that provides services to startup and small companies from all industries and fields. We stay on the pulse of industry changes and adapt our practices to produce quality SEO and content marketing plans to fuel the growth of businesses across communities. Click here to learn more about content marketing techniques and how we can help improve your search profile.